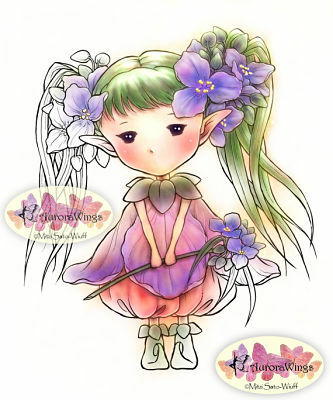 This is for the Aurora Wings Spiderwort Sprite rubber stamp designed by the talented Mitzi Sato-Wiuff for Sweet Pea Stamps. This image measures approx. 3.50" x 3.50" and comes as an unmounted rubber stamp.